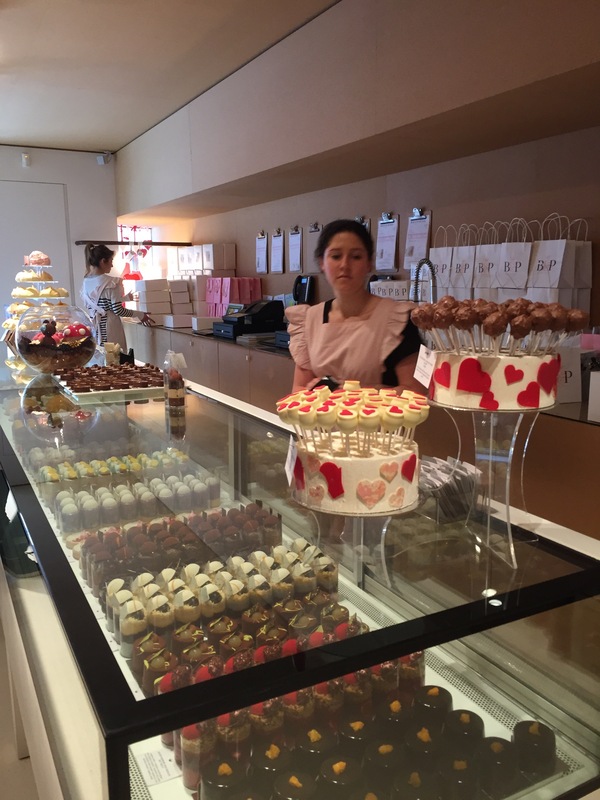 After visiting Top Paddock we were in the mood for further foodie adventures and what better than the sweet delights of Burch and Purchese. This South Yarra hotspot houses some of the best sweet treats to be found in Melbourne and in indeed all of Australia. You may have seen their creations on Masterchef or all over social media. Pastry chefs have a reputation as the chefs even other chefs are scared of and it’s certainly not hard to see why when you take a look at the immaculate display at Burch and Purchese. This particular sweet studio is the vision of Darren Purchese come to life. It’s both a retail store and and purveyor of delicious custom cakes and treats. 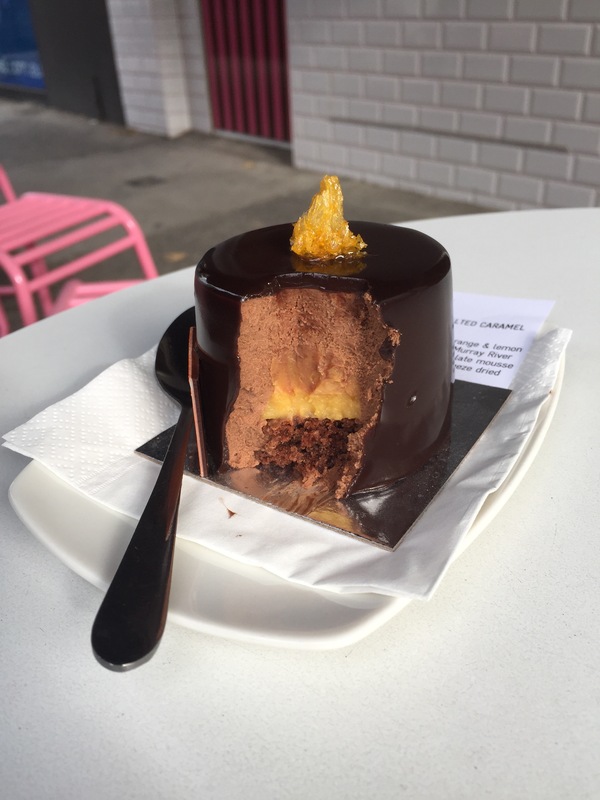 Darren Purchese spent his time working in pastry with brilliant chefs like Shannon Bennet and all over the world before finally settling down with his wife in Melbourne. 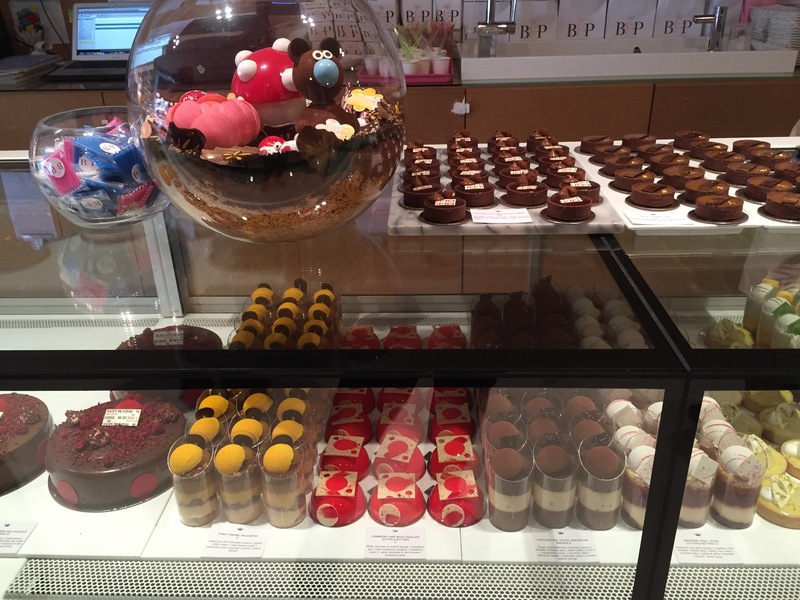 He has made his name both as a fine pastry chef but also as a television personality, and it’s well worth visiting Burch and Purchese just to take it all in. 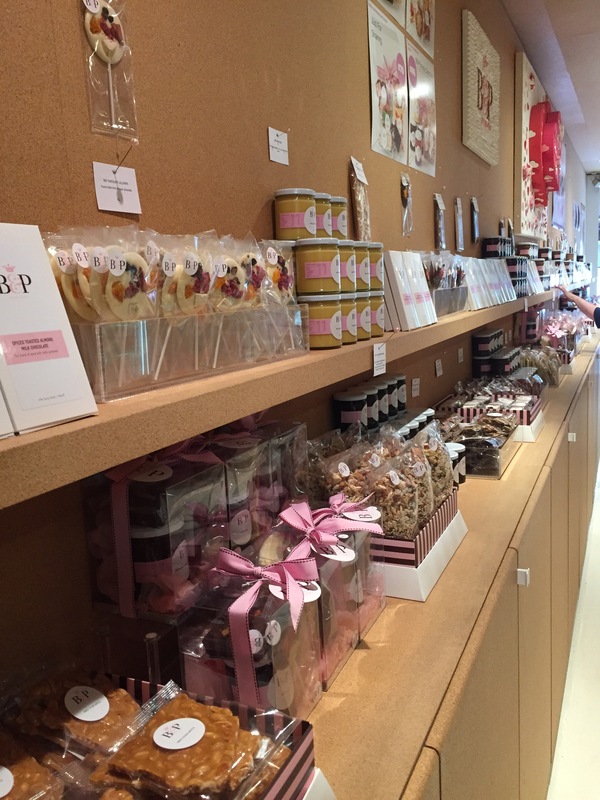 Once you’ve stepped in their doors it’s utterly impossible to leave Burch and Purchese Sweet Studio without trying a little something – after all they can’t really taste as good as they look… Could they? The staff were wonderfully helpful while we umm-ed and are-d at the display. The choice was overwhelming, everything sounded and looked so good that choosing just one was agonising. There was every kind of cake and sweet, chocolate, tarts, fruits, mousses, custards, creams all with perfect, polished finishes. The uniformity of presentation is an absolute credit to the chefs that work here – such delicate, beautiful cakes take a huge amount of skill and talent to pull off. If you’ve ever watched a dessert pressure test in Masterchef you’ll probably understand how difficult a feat this actually is! Eventually we made our choices, we didn’t want to wait, or to ruin our precious cargo on the way home and instead took it out to the small tables outside to savour. Our first choice was the chocolate, mandarin and salted caramel. A rich but still light dark chocolate mousse covered in a wonderfully glossy chocolate hid a wealth of deliciousness within. 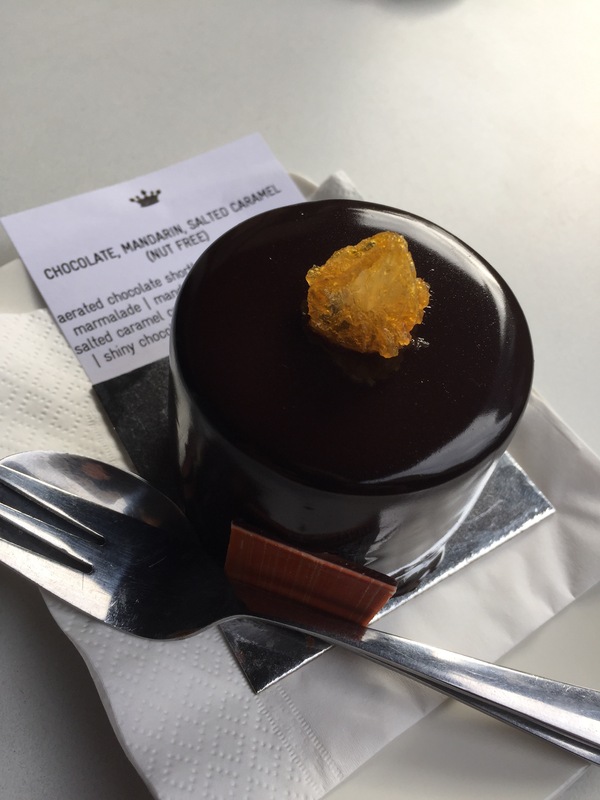 There was a mandarin cream and a Murray River salted caramel cream with a dash of orange and lemon marmalade atop a base of aerated chocolate shortbread. To say this tasted just as good as it looked doesn’t feel like it does this complex and balanced dish justice. It was everything you want in a dessert, with intensely delicious but perfectly balanced flavours. We wholeheartedly recommend you try it for yourself! We also tried the gin and tonic tart. It was a delightfully surprising sweet with hidden layers of depth. The vanilla shell was complimented by a fizzy white chocolate that shocks the tongue. The dish was aromatic, with tangy curd, lime jelly and juniper marshmallows. 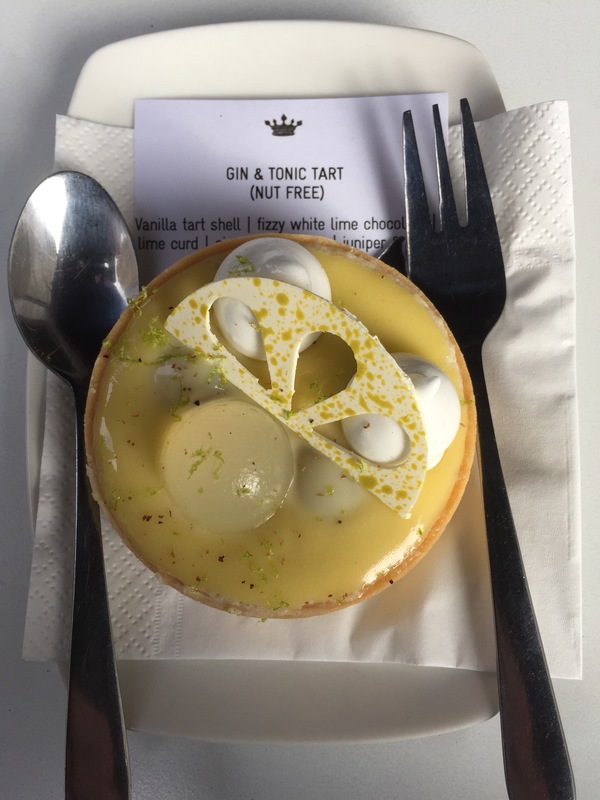 The overall effect was spot on – the perfect recreation of a gin and tonic in tart form and a delightful mix of flavour and texture in every mouthful. 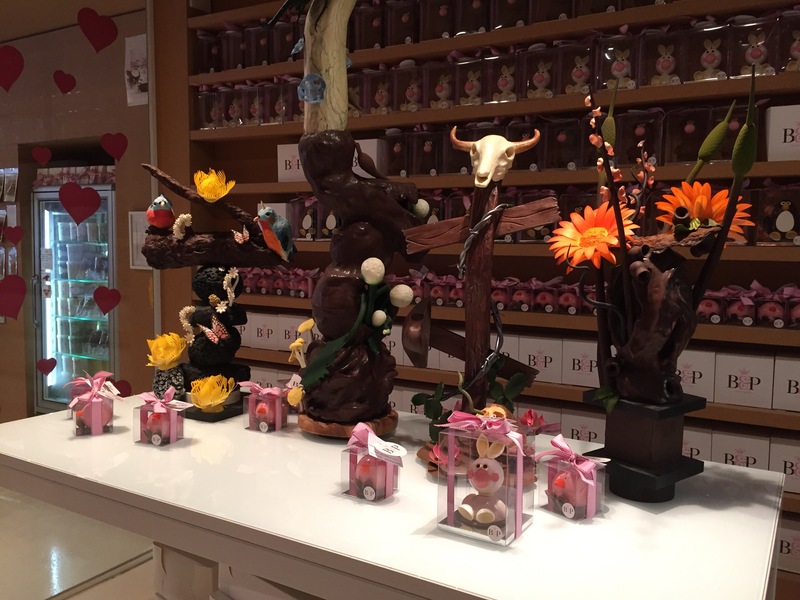 Burch and Purchese create feasts that will thrill your tastebuds and delight your eyes, their store is an unmissable destination when exploring the Melbourne food scene. Haha! And how much you love him? =P That’s pretttttty much what happened to me! But there’s no knowing when I’d get to meet him next!